The Australian Accordion Teachers Association is proud to announce that we plane and work on hosting a piano competition for budding pianists. As time goes on, we have noticed a trend in students choosing to learn multiple instruments. Hence, we have decided to host a new competition for them to display their talents. We would like to create a platform for budding pianists of various ages and playing levels to perform publicly and showcase their talents, as well as gain experience in performing in general. This is regardless of whether they intend to pursue music professionally or are just playing for leisure as we are trying to create a friendly environment for music which everyone can enjoy. As part of the AATA policy of moving with the times and keeping costs from rising, we are publishing our Prospectus on-line only. The Prospectus is now available for viewing and candidates and teachers can print out the classes or rules that apply specifically to them. Close to the event, the Timetable will be online detailing specific category starting times as well as the general schedule including masterclass, social events and concert times. The AATA schedule will have at the end of each day, an informal social event where pianists can meet and talk. Everyone is welcome. We hope that both participants and spectators will enjoy the Australian International Accordion and Piano Championships . 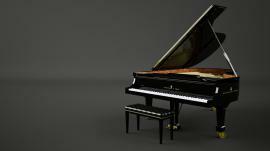 The dates of the Australian International Piano Competition will be announced in a due course. Tania Lukic-Marx, a renowned accordion concert artist, many times Yugoslav National Champion and studied for 7 years at the Kiev Conservatorium of Music in Ukraine with the famous Professor Vladimir Besfamilnov. She completed her post graduate studies, Master of Arts in 1990 majoring in accordion. Tania has excelled in international accordion competitions, highlighted with a 3rd place at the Klingenthal International Competition for Soloists in 1986 and 2nd place in the 1988 Coupe Mondiale International Solo Championship. The first 'Laureate' from Yugoslavia at these prestigious international competitions and the first Yugoslav piano accordionist to achieve such impressive results. Tania performed the world premiere performance of Zubitsky's "Slavic" Sonata No. 2 in Klingenthal in 1986. Now an Australian citizen residing in Sydney, Tania Lukic-Marx has continued performing and adjudicating internationally. In 1993, Lukic-Marx made a concert tour to the Peoples Republic of China. Concerts were televised and have been broadcast since then several times. The tour also included performances at the 1st Chinese International Accordion Festival in Beijing. There have been several concert tours to New Zealand and previous to moving to Australia, concerts in St Petersburg, Moscow, Croatia, Slovenia and Yugoslavia. Since 1992, Tania has been the Director of her own Music School in Sydney, Australia. Recently she has had several students compete to much acclaim internationally with all her students being placed in the top 8 at the Coupe Mondiale, the highest ranked competitors ever from Australia. Her students have won many Australian national awards as well as awards in New Zealand and the USA. In 1996, Tania was invited to write the CD Reviews for Accordions Worldwide the largest accordion internet site in the world. The Confédération Internationale des Accordéonistes - IMC - UNESCO honored Tania in 2005 with the Merit Award for her "In recognition of outstanding services to the International Accordion Movement". Tania is often invited to join international adjudication panels at various accordion competitions as well as to hold seminars and masterclasses including 2006 and 2007 adjudicating at the Ukrainian "AccoHoliday" International Accordion Competition and invited to Poland for Masterclasses with Prof. Besfamilnov in late 2007. Tania is also heavily involved with accordion activities as the President of theAustralian Accordion Teachers Association Inc which runs the annual Australian International Accordion Championships and Festival in May each year. Any soloist or group featuring accordion is invited to participate. This is an ideal opportunity for any hobbyist, accordion lover or professional to perform for an enthusiastic friendly audience. Performers may be from any nation or territory. This is for all non competitive performances. All applications welcomed. Please contact the AATA Office early enough to complete application forms and membership forms and have them reach the AATA Office by 1st May. Please note that each performer must be a current financial member of the Australian Accordion Teachers Association Inc. This Online Prospectus forms the official rules for the Australian Accordion Teachers Championships and International Festival. Please Note:- Late entries are not possible because the entry dates are as close as possible to the event. You are requested to send your entries in as soon as possible.No refunds. 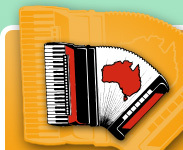 The Australian Accordion Teachers Championships and International Festival offers five performance categories: International Championship, Australian Championship, Standard, Qualified and Festival. Each performance category includes a selection of classes. Details of the classes, the music requirements, time limits, entry fees etc. are in the Class Schedule section. Entry forms for all other classes are available on this site. Incorrectly completed Entry Forms will not be accepted. Please note that each entrant must be a current financial member of the Australian Accordion Teachers Association Inc. Membership Application forms are available on this site. Each competitor is required to provide one copy of their Own Choice music for the adjudicators, (except for the Creative Classes and Festival performances). This music is to be handed to the AATA Official when reporting for your competition class. Failure to supply music for the adjudicators means that the contestant cannot play. All the classes are sight judged and adjudicating considerations include: level of performance, difficulty of music, suitability of choice of music (i.e. contrasting style as required for some classes or suitability of music where specific types of music [i.e. Jazz] are a requirement), presentation and audience appeal. The names of the adjudicators will be printed in the Official Programme.